Global spending on collateral management vendor technology is estimated to reach US$331 million by the end of 2015. London, 17 June 2015 – The global collateral management technology vendor community is extensive, and like their clients, these vendors are contending with a huge number of market practice changes related to regulatory and infrastructure drivers. These drivers do, however, mean that spending on these solutions will increase significantly over the next few years, and though individual firms often have bespoke implementation requirements, there is certain common functionality that clients expect from stand-alone solutions. 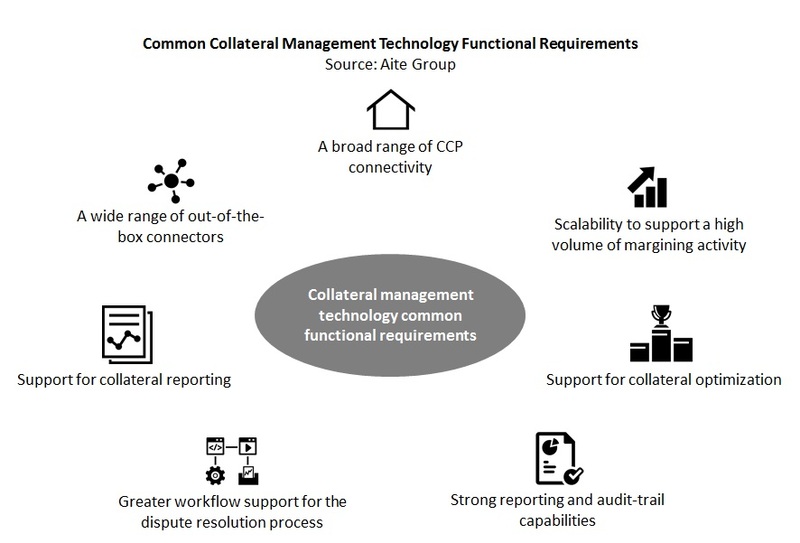 This Impact Report, the third in a series of four on collateral management, examines the capabilities of stand-alone solution vendors serving the collateral management market. It is based on Aite Group surveys conducted with leading market participants and interviews of 26 firms and references from each profiled vendor. Profiled solutions include 4sight Xpose Collateral Management, Advent Syncova, Broadridge CollateralPro, Calypso, CloudMargin, IntegriData CAARS, Intellect Design Arena, Lombard Risk Colline, Murex MX.3 Collateral Manager, Omgeo ProtoColl, SmartStream TLM Collateral Management, and SunGard Apex Collateral. This 60-page Impact Report contains 38 figures and three tables. Clients of Aite Group’s Institutional Securities & Investments service can download this report.